First find (search for) a group of students use the Browse Student links in the middle right of the screen or enter a search argument in the Search Students box, field_name=argument for example: "city=Washington." For a list of fielsd click the View Field List. For more information on searching click on the How to Search link. 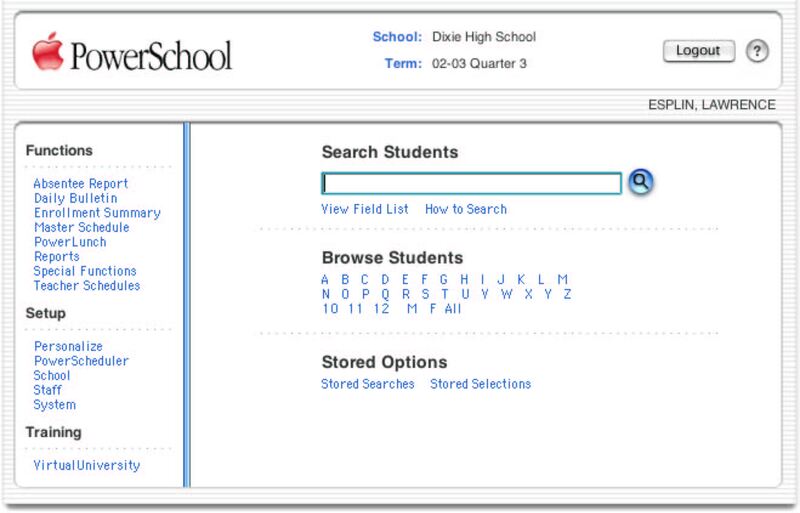 To Return to the Main PowerSchool Page Click on the Red Apple (top Left). 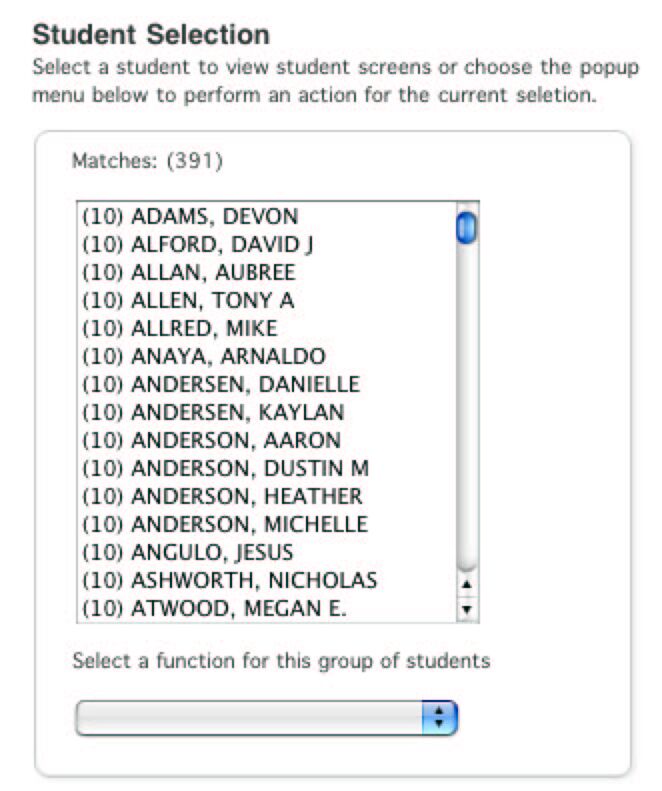 When you get the student selection screen use the pull down and choose List Students. 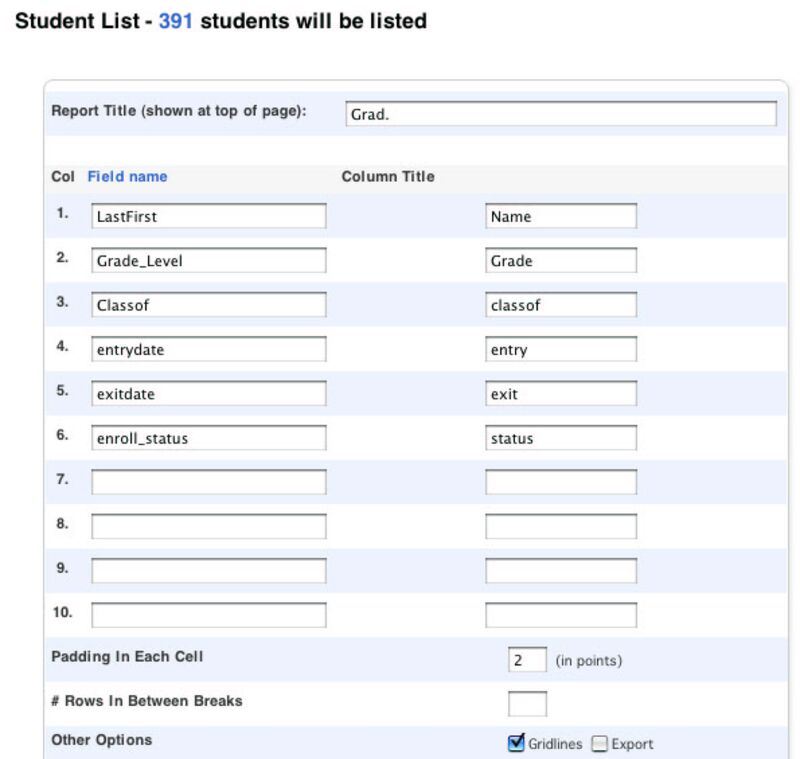 In the Student List setup screen enter a list title, in the left column enter the field names you wish to list (for example lastfirst). In the right column enter the title you want for the field (i.e. : name). Check the grid lines box if you want lines around your list. Click Submit and you will have a list to print.